Aimed squarely at the pro-enthusiast market, the new Pentax KP sits comfortably alongside contemporaries such as the Canon 80D and the Nikon D7200. 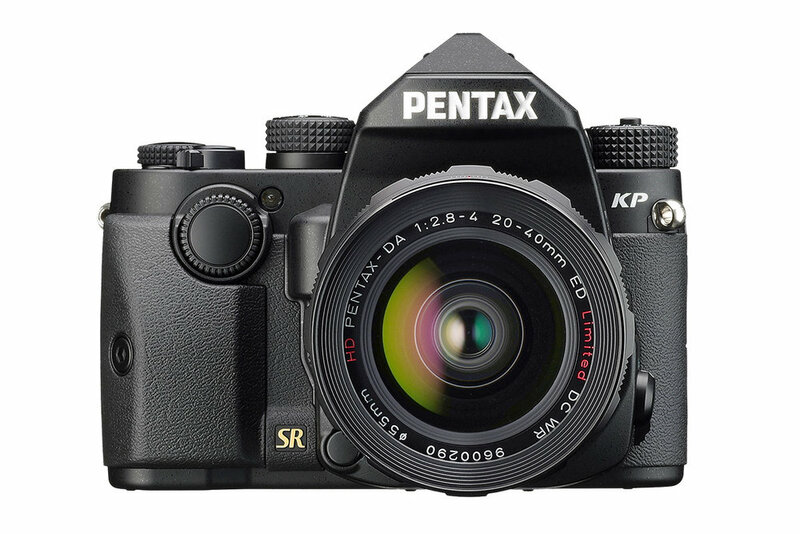 The KP clearly builds on its Pentax heritage too, taking its lead from the APS-C K-3 II and the full-frame K1, both released within the past year. However, with the addition of an exceptionally high ISO range and interchangeable grips, the KP is boldly striking out on its own. Consistent with its main competitors, the KP offers a 24.3MP APS-C CMOS sensor. It’s the same one that was used in the K-3 II, however this time it has been paired with the K1’s Prime IV imaging engine, which has allowed Pentax to create a mind-boggling native ISO range of 100-819,200. While stretching your images to the top end of this range isn’t likely to be an everyday occurrence, it’s a reassuring safety net for when you’re stuck with difficult lighting conditions. While the KP feels like a natural progression from the K-3 II, thanks to that whopping ISO range and the Wi-Fi functionality, take a closer look at the spec and it soon becomes clear that it’s not intended to be a direct follow-up. 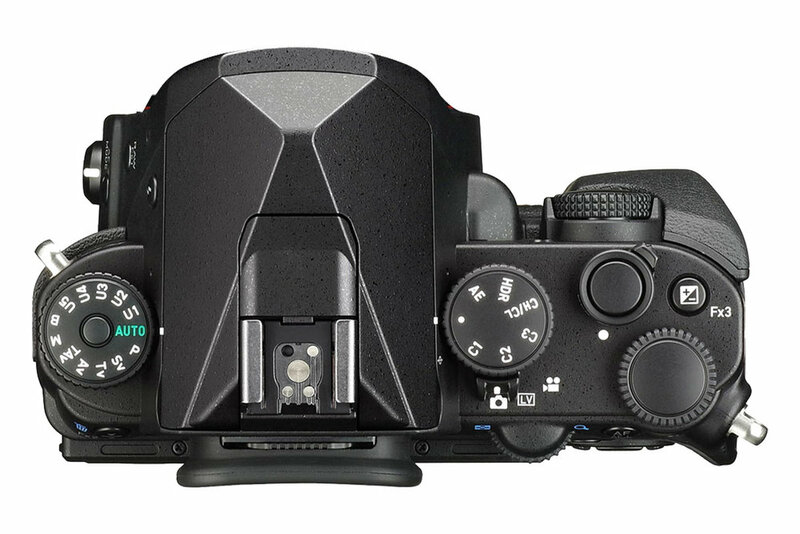 Many of the KP and K3 II’s features remain the same, such as the focus points and resolution, but when it comes to continuous shooting the KP’s 7fps lags behind the K-3 II’s 8.3fps. The RAW burst rate is similarly disappointing, lasting for just over a second. When compared to the Canon 80D’s 25 RAWs burst rate it’s quickly evident that the KP is trailing behind its contemporaries in a vital area, making it less than ideal for sports and wildlife photography. However, while fast-paced situations may not be the KP’s forte, if you’re looking to slow things down for astrophotography then this may well be the camera for you. An AstroTracer function tracks the stars and allows you to use longer shutter speeds without them blurring. This is a feature unique to Pentax that you would otherwise have to spend upwards of £400 on an equatorial mount to mimic. Pentax and weatherproofing are almost synonymous with each other. Each camera in the company’s line-up has a sturdy build to protect it from inclement conditions, and the KP is no exception. With 67 seals, a metallic chassis and a magnesium alloy exterior, the KP has clearly been built to withstand a lot of punishment. A useful new addition is the range of interchangeable grips this camera accepts. This unique customisability comes in handy when switching lenses from a lighter prime to a heavier zoom. However, it’s worth mentioning that the KP is so light in the hand that attaching a cumbersome zoom makes it feel very top-heavy and unbalanced. One unfortunate drawback is the KP’s limited battery life. 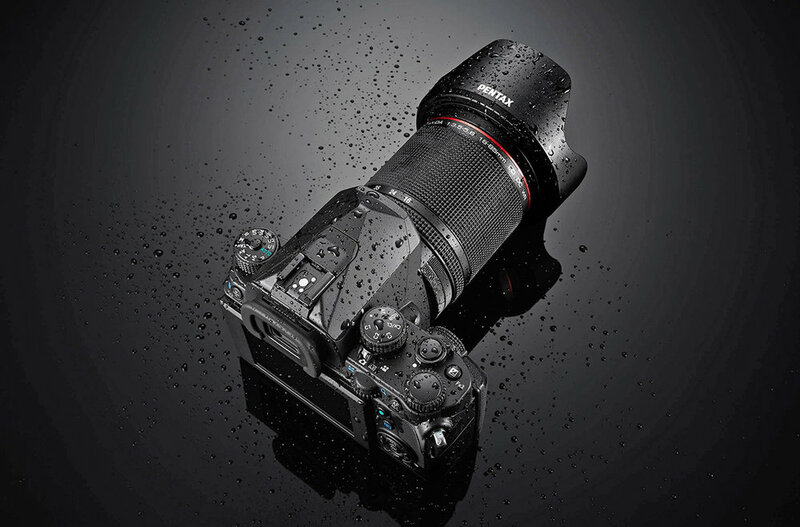 While the K-3 II boasts a fairly respectable 720 shots, the KP can claim just 420. In sharp contrast to this, the Nikon D7200 boasts 1110. For a camera in the KP’s price range this is nothing short of disappointing. If you’re curious about experimenting with video for the first time, then the KP’s ability to capture Full HD footage at 30fps will pique your interest. The Movie SR setting is a great option for beginners, as it smooths out the shake from shooting video handheld. Providing the KP with Wi-Fi is a smart move, as it means photographers can swiftly transfer their shots. And if you’re interested in hands-free shooting, then the Wi-Fi also allows you to control your camera remotely with your smartphone. The Pentax KP is a well-formed camera with useful additions, such as the excellent ISO performance, in-body image stabilisation and the interchangeable grips. It’s just a shame that the shooting speed and battery life don’t match those on the K-3 II, as that would have made upgrading a no-brainer for existing Pentax users. However, despite the KP’s drawbacks, it’s still a very capable camera with decent image quality that’s perfect for astrophotographers.